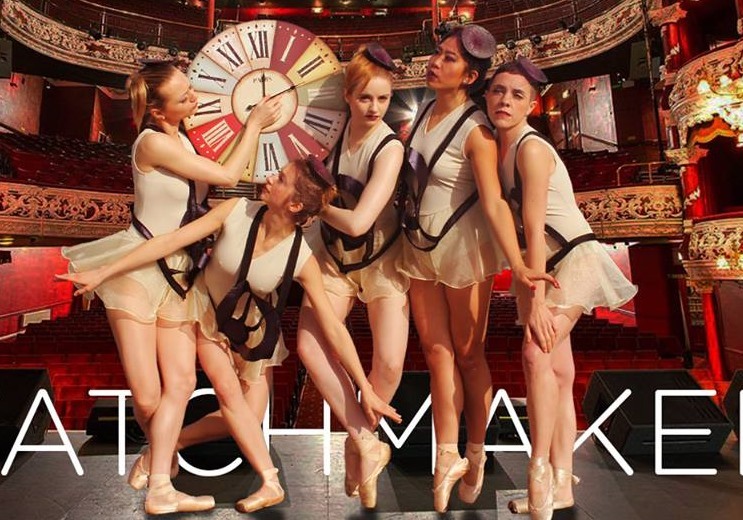 Blending classical ballet and street dance in a modern metropolis, this dark fairytale presents the problematic illusion of time. The clock of the main square has been broken and evil spirits have been let loose on the unsuspecting citizens. The Watchmaker has a plan but time is running out! The show unites professional dancers of various styles (classical ballet, modern dance, hiphop, popping, break dance, contemporary and krump), and nationalities (Irish Latvian, Lithuanian, Russian, Brazilian, Argentinian, French, Italian, Australian, Japanese, Indonesian, Moroccan, Turkish, Polish, and South African) in a performance for one night only at the Olympia Theatre Dublin, touring next to Latvia in Autumn 2017. This is a production by MyArt Dublin. Tell me more about the company? MyArt consists of studios available to artists and dancers as a professional space to develop, work and train, while also providing a range of classes for non professional creatives of all ages and abilities. The show we have created is by no means a school show however, our home company consists of a mix of professional and non-professional dancers in the creation of our show. With dance forms such as Tango or Salsa, one finds there are many opportunities to perform and showcase skills at different levels but the ballet world would be quite closed in this regard. With our mix of dance styles for the show, we have the freedom to perform at differing levels professionally. Where did the idea for the Watchmaker come from? How long have you been working on the idea? The idea for the show came to me about two years ago when I met my partner Ernest Putelis (ErnBotTik). 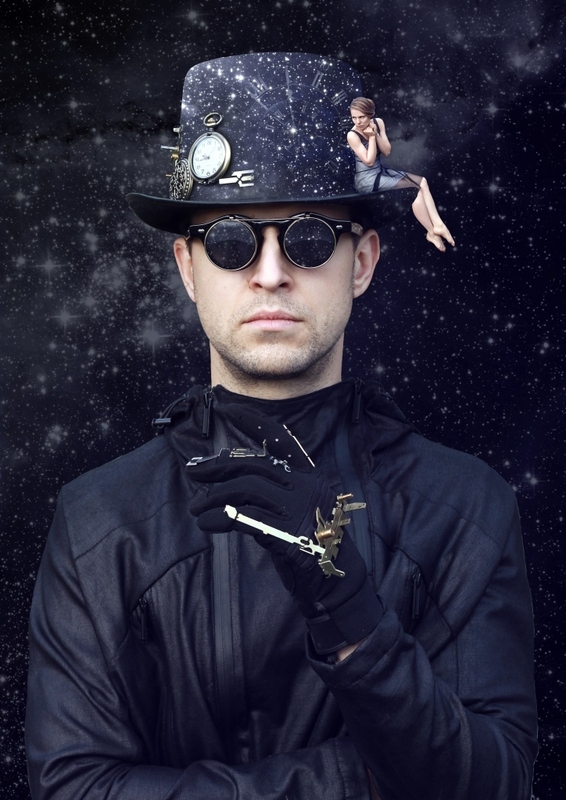 As one of the few professionals in Ireland, he dances primarily through the popping style of hiphop, a mechanical, robotic kind of movement and I was immediately inspired with the idea of clockwork, and from there came the beginnings of a vision to create a show about time. He fit the part for main character of the Watchmaker so perfectly and his style of dance has led the direction the show has now taken. I wanted to create a story that dealt with the value of time, how happiness and self-actualisation are available to us… if we can allow it into our hectic schedules. By means of dance we are dealing with the fallout of time spent badly in the reality of life in a modern metropolis, but of course with fantasy characters such as watch faeries who live in the clock studio, and evil spirits who come and steal away time! For two years I have been working out the narrative for our libretto, and the creation of new choreography alongside constant rehearsals. With all the work required I have very little space for personal time anymore, so I guess you could say art is imitating life right at the moment! It is unusual to blend Ballet and modern ‘street dancing’, what do you hope to achieve by having such different styles on the same stage? It has become more popular for film to blend different dance styles like these together, however it is more unusual for stage, so I asked myself why not for theatre? In our case the variety of styles of dance fit the different characters the story outlines. For example our clock faeries are ballet dancers of course, but I have found that classically trained ballet dancers don’t naturally replicate sharp and robotic movements, so that’s where popping and street dancers come in. In blending the dance styles we balance the movement to each character’s personality perfectly. How many dancers are involved in this production? Can you tell me a little about their backgrounds? We are a twenty-one-strong dance crew of nationalities from Ireland, France, Poland, Australia, Spain, Argentina, the Philippines, South Africa, Lithuania, Latvia, Brazil, Turkey, and Japan, so move over Eurovision! Through a variety of workshop auditions I was able to source a great range of ability and style with ballet, contemporary, hiphop, popping, breakdance and krump. Dance itself is a kind of language, you have your mother tongue, and then your second and third languages… So my native tongue would be in ballet and modern before I learnt the language of hiphop and streetdance! In this way though I am very familiar with these styles so I have to work twice as hard to ensure everything is correct. The Olympia is a beautiful old theatre. Does it add to the spectacle? Very much so. The Olympia Theatre is a very beautiful theatre in the heart of the city centre where our story takes place and it has a magical old quality. This of course creates a different feeling for dancing and we are of course delighted to be treading, or indeed spinning across the boards previously shared by Charlie Chaplin, Laurel and Hardy and Marcel Marceau! Are you nervous about Friday? Yes of course. Friday will be our first time to rehearse properly in the space so of course this means slight adjustments of arrangements, and the process has been a long one, but I am confident all will go well and the show will be wonderful. What are you hoping to do next? After our show myself and our dancers will be taking a well deserved break before beginning preparations to tour to Latvia, and bring our show to different cities.